Lunch with a Bunch is finished for this summer. Check back next May for a schedule for 2019. 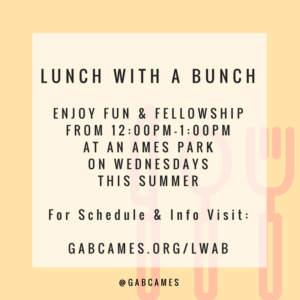 All are welcome, from young to old, to pack a sack lunch, grab a friend, and join us at an Ames park for Lunch With a Bunch!